At Advanced Dental Concepts, our team works hard to offer patients from Crown Point, Winfield, and other nearby communities comprehensive dentistry services. We begin our personalized treatment plans with a solid foundation in general and preventive dentistry services to help patients achieve their healthiest smiles. If you’re ready to find out how to keep your smile whole and healthy for a lifetime, contact Advanced Dental Concepts to schedule an appointment. We look forward to treating you and your family in our state-of-the-art dental office. 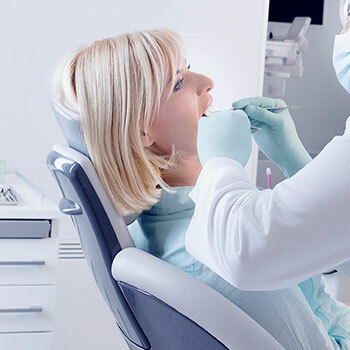 Dental checkups and professional teeth cleanings two times each year are an essential part of any ongoing dentistry plan. By visiting our office every six months, patients are able to partner with our team to prevent most oral health issues before they start and diagnose and treat others in their earliest stages. Each checkup includes a careful diagnostic assessment including digital x-rays, intraoral photography, and careful visual examination. This evaluation allows our team to screen for warning signs of tooth decay, gum disease, bruxism (teeth grinding), temporomandibular joint (TMJ) dysfunction, and oral cancer. 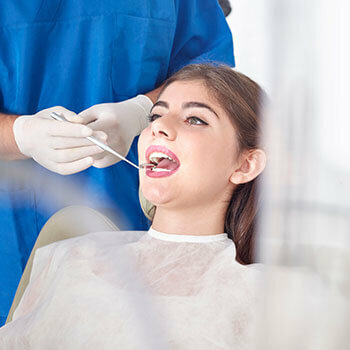 Next, our skilled hygienist carefully removes plaque and tartar buildup from teeth. Finally, the dentist sits down face to face with patients to review his finding and establish a plan for ongoing care. Fluoride is one of the nutrients that are essential to developing and maintaining strong, healthy dental structures. As young patients develop their primary and adult teeth, fluoride ingested in tap water, foods, and supplements is essential in order to develop strong tooth enamel. However, once teeth have erupted from the gum line, topical fluoride is necessary to keep the teeth strong. Many patients receive adequate fluoride from the fluoridated toothpastes and mouth rinses they use on a daily basis. However, we may recommend professional fluoride applications for young patients who are still developing their oral hygiene skills and adults who are prone to decay. While teeth grinding and clenching (bruxism) and TMJ dysfunction may have different causes, they can both be adequately treated using the same comfortable solution – nightguards. Custom crafted to fit a specific smile from high quality materials, patients are able to speak, drink, and breathe comfortably while wearing their nightguards. The function of the guard is two-fold. They adjust the jaw, allowing it to rest in its most comfortable position. This reduces unconscious jaw movement at night that may lead to a strain of the TMJ. Additionally, the guards place a physical barrier between teeth. For patients suffering from bruxism, this prevents potential damage and wear that may result from this unconscious habit. Many of our patients are unaware that oral cancer effects patients who do not use tobacco. While this is the most common factor across sufferers of this disease, more than 30% of those diagnosed with oral cancer do not engage in any of the common high risk behaviors associated with the disease. That’s why we included oral cancer screening as part of six month dental checkups for every patient we treat. 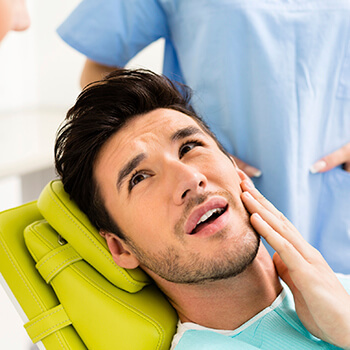 The doctor carefully assess oral and facial structures looking for lumps, sores, and discoloration that may be early warning signs of oral cancer. Our goal is always to help patients preserve as much healthy dental structure as possible. That’s where conservative micro dentistry services come in. We utilize the latest dental techniques and technologies to preserve the maximum amount of dental structure while restoring the full form and function to damaged smiles. We also make use of conservative dental techniques like composite resin fillings. We are happy to welcome patients of any age or stage of dental development in our office. 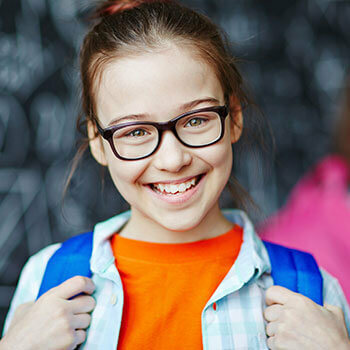 Our Dentist and team have years of experience working with children and know how to meet their unique oral health and behavior needs. To ensure convenience, we’re happy to schedule appointments for the whole family on the same day. No need to take multiple days away from your normal routine to care for the entire family’s oral health needs. The use of digital x-rays and images has allowed us to make patients feel more like partners in their oral health care plans. 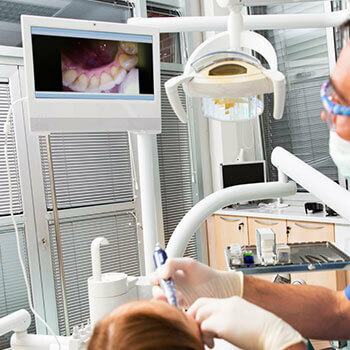 These images make it possible for patients to develop a more complete understanding of any oral health issues and potential treatment plans because they can see them on a chairside computer monitor. We’re able to enhance, enlarge, and otherwise edit these photos, so patients see clearly where their teeth and oral structures are damaged, and we can carefully explain the various treatment options.